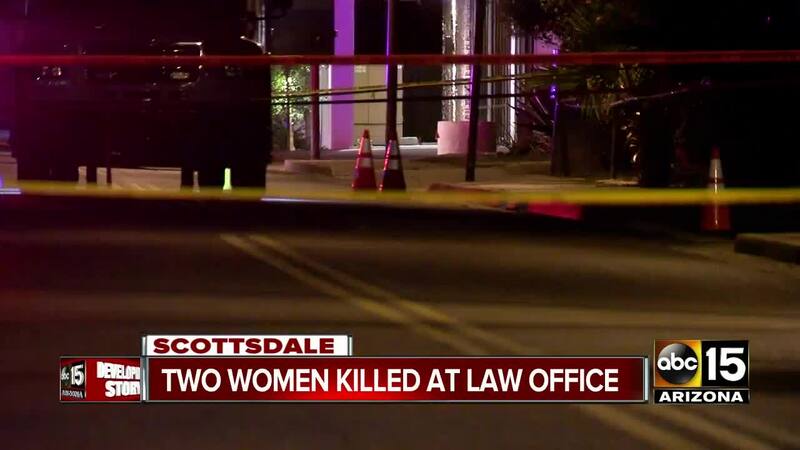 Police say two women were murdered in a double shooting Friday afternoon at a Scottsdale law office. Officers responded to reports of a shooting around 2:15 p.m. in the area of 1st and 75th streets, near the Civic Center Library. Police said one of the women, who had been shot in the head, ran outside and told a limo bus driver to call 911. The woman was transported to a nearby hospital where she later died. 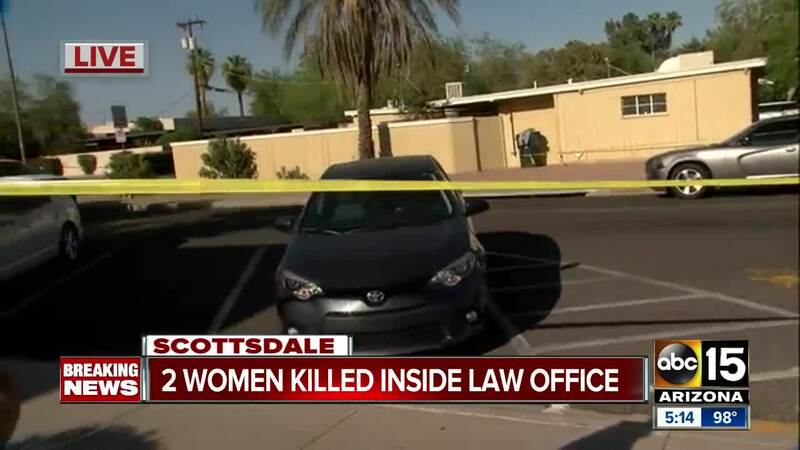 A second woman was found dead inside a law office in the building, police said. 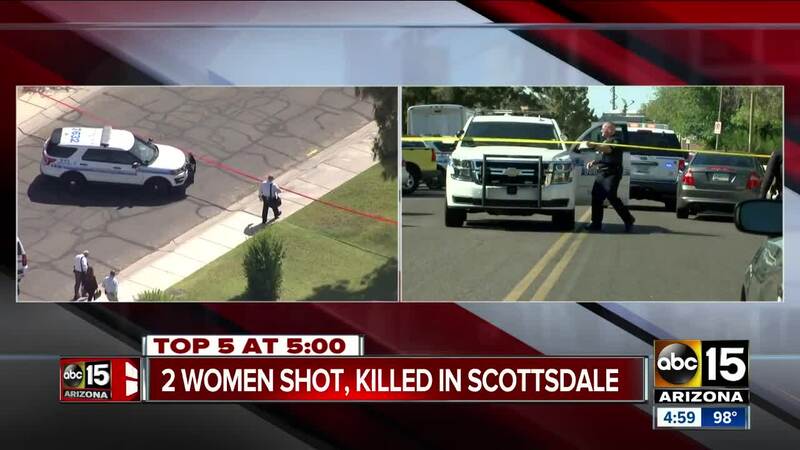 The victims, who have been identified as 48-year-old Veleria Sharp and 49-year-old Laura Anderson, were shot inside the office. No arrests have been made, and no suspect description has been given, but police are looking for the suspect. 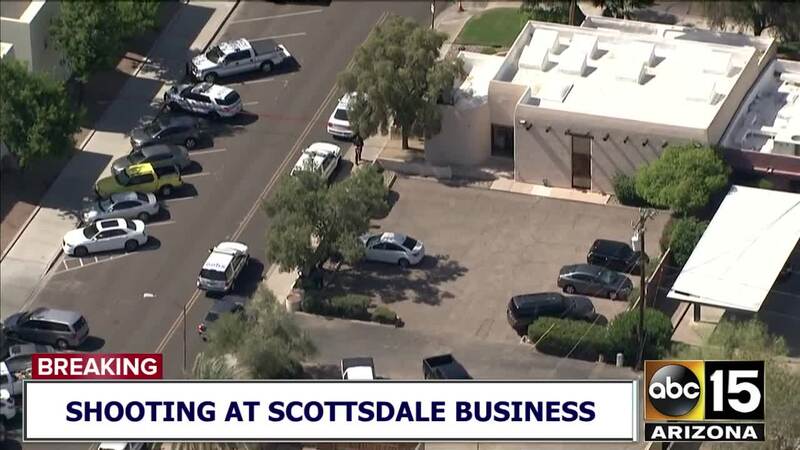 On Saturday, Scottsdale police said this double homicide investigation is related to the homicide case of Steven Pitt, a forensic psychiatrist shot and killed outside his office in Phoenix on Thursday.